Get your coins appraised. Call (801) 278-8500 now for more information! We are here, available and ready, to help you choose the perfect rare coin for your collection, or to appraise the value of your gold and silver. Call us today (801) 278-8500! Collecting rare coins is a hobby for some, and an investment for others. It can be a rewarding and lucrative hobby. There are coins that date back over 2,000 years. Some antique coins have sold for thousands of dollars. One particularly rare penny sold for seven million dollars! It takes years of study to become a coin expert. Books on the subject of coin collecting are often hundreds of pages in length. 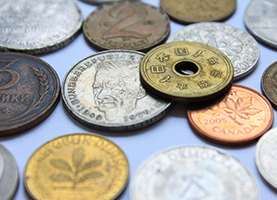 There is a lot of information out there on rare coins and coin collecting. We have done our research, and we have extensive knowledge when it comes to coins, gold and silver. We are experts in rare coins, and we can help you find what you are looking for. 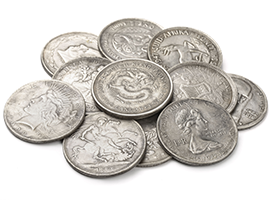 With an extensive stock of valuable and rare coins, we’re confident we have the perfect rare coin for your collection. We also pay competitive prices with cash on the spot for gold and silver. We offer honest and fair payouts. 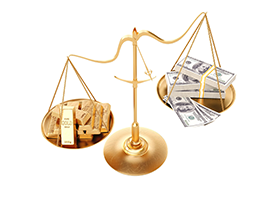 Whether you have old jewelry on hand you want to sell or even gold bars, we will give you a fair market price. Our customers have received anywhere from $100 to $3,000 cash for their gold and silver. It’s a great way to turn those items you’re not using into spendable cash. It can be difficult to give accurate quotes over the phone, as we need to weigh your gold or silver and inspect it. Feel free to contact us, however, for more information or for answers to any questions you may have. Any member of our friendly and knowledgeable staff will be happy to help. We also invite you to stop by and see us at our Holladay Boulevard location, right off of East Murray Holladay Road.